“You shall know the Truth and the Truth shall make you free”….this is the crux of the matter in all metaphysical teachings, in the message of Jesus and in Butterworth’s Practical Metaphysics, “You shall know the Truth and the Truth shall make you free!” Last week our exploration was about prayer and changing our “Yes, but….into Yes, and….” The message is that prayer does not change God, prayer changes us. When we know the Truth of who we are, as Christed-Beings, that “knowing” changes our perception of every thing, every person, every situation that we encounter in our lives. We move from “yes but, to yes and….” We use spiritual principles to experience freedom from our limited human perception and understanding of what we encounter in life. We desire the freedom to see everything in life from that highest point of view. We use spiritual principles to Practice the Presence of God in all our affairs, and to refrain from practicing the Absence of God. We are praying to “demonstrate” the power of affirmative prayer that can make something happen and we want to be able to see it happen! That is our human understanding of “demonstration!” See, it works! Prayer works! However, a key component to understanding the energy of Truth that sets us free, is that we do not use Truth principles or metaphysical practices to escape our human experiences, to bypass them or to manage or control them. Oh drat! I wanted the easy way out! So where does that leave us when it doesn’t “work”, when there is no evidence of answered prayer, of a demonstration of Truth? Do you remember the movie The Secret? This was all the rage in Unity circles about 10 years ago, and it was basically about the psychological/spiritual law of attraction, that if you think something long and hard enough, your thoughts will make that happen. To some extent, with psychological understanding that is true; our minds are very powerful in how they perceive and create our experience of what is. That power of our mind is what we are working with in the realization of spiritual Truth, the Truth that actually sets us free. Before we can experience that freedom, it is essential to also know what subconscious thoughts you might also be holding that are working against you in the effort to know spiritual Truth. The power of the conscious mind and the subconscious mind are part of our human journey and cannot be bypassed in our spiritual growth process. You cannot use spiritual practices to by-pass the psychological, emotional healing work that you need to do. As much as you may want to do that, it is not possible. That is what Butterworth is saying in this chapter on Demonstration. When we want to “demonstrate” that prayer works, that we held the thought of a better job, more prosperity, and then have it just happen, we are working from the vantage point of our ego, and not embracing Truth. We want to do that with big things and really simple things, don’t we? But first we have to do our work, our human and Divine work. What we need to understand then is to receive the Truth not simply as a problem-solving series of techniques but as a fundamental key to an abundant life. We really begin to use the Truth….we come to the consciousness in which problems have lesser and lesser reality for us, and finally we don’t even see problems as part of our life. We know the Truth because it keeps us in tune with the dynamic upward swing of life…Ultimately you’ll come to know that your demonstration will make you. Truth begins to use us. Butterworth urges us to not be “Metaphysical Hypochondriacs” who live from crisis to crisis seeking constant “prayer treatments” to deal with life’s challenges. Instead, we seek to be fully grounded in Spirit and Truth that allows us to live as the Chinese farmer, letting things be as they are, as we stay grounded in Truth. If knowing the Truth is going to set us free, then we have to learn how to live in Faith, without attachment to outcomes. We have to get it, that our consciousness is a huge part of this freedom process and we have to constantly remember the Butterworth cliché: God can only do for you what God can do through you! We are not trying to get anything out of the Universe because we are the Universe, or the Allness of God, a divine mind, expressing itself at the point where you are as you. Our need is to become aware that within each of us is the Allness of the Universal flow. Our very Being-ness is to allow it to demonstrate itself through each of us, letting the demonstration of life make us. But we have to show up and do our part, after we listen in prayer and center ourselves in that Divine energy of Good, of God. In all of life, seek first the kingdom, or consciousness of God and its right use, and all else will be given to you! That is the teaching of Jesus. How does it look in real time? When we first went to the Gulf side of Florida in 2014, we did not know exactly how things worked there, especially with parking and access to the beach. There are inlets that have limited parking spaces and they all seemed to be full. Todd was expressing feelings of discouragement, but I recall stating, “I did not come all the way to Florida to not get to the beach!” Then I began a silent prayer, “God is solving this,” which I repeated to myself as I continued to drive the loop. After several times around, I noticed someone carrying a beach chair to their car, and I rolled down my window and asked if they were leaving, and it was a yes! Now did God open up that spot for me? No! What prayer did for me was keep me tuned into all possibilities! It kept me focused with positive expectations of my needs being met. Grounded in that focus, I could immediately recognize possibilities and then ask for what I needed. That is what Butterworth means by “Demonstration” which comes as a side effect of staying grounded in Truth.  Friends, we also have a BIG opportunity to demonstrate our “Grounded in Truth” consciousness right here at Unity Church of Ames. Some time in the next three years, we need a new roof on our building with the approximate cost of $17,600. We as a church community affirm that we are focused in Truth, that centered in Divine consciousness, we know that “God is solving this” and we are open to all possibilities of our good manifesting in a new roof on our church building. We have an incredible opportunity here at UCOA to demonstrate the power of Truth, the Truth that sets us free. Let us hold that consciousness of Truth together!